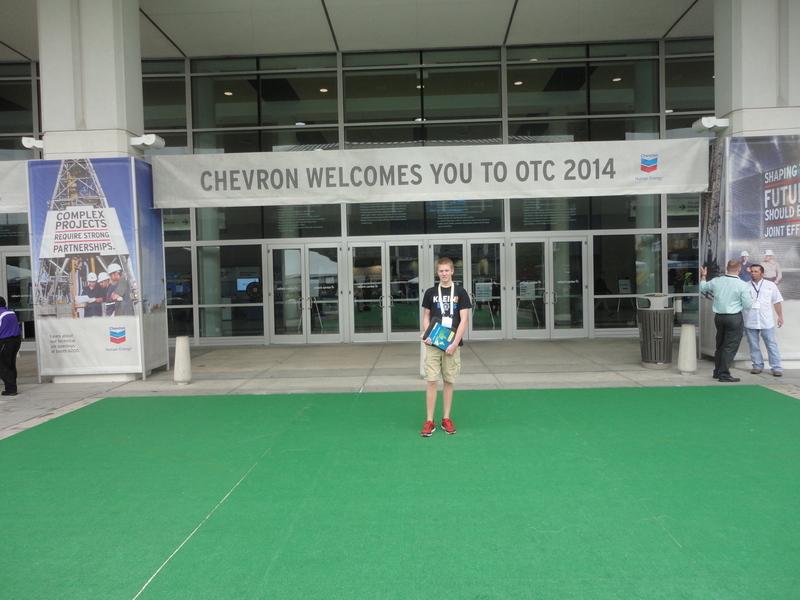 On Thursday, May 8th, 2014, Lewis Longbottom represented the KleinBots at the Offshore Technology Conference (OTC). Although the whole team was not able to attend due to short notice, Lewis wore his team shirt in pride as he represented the KleinBots at the largest Offshore engineering conference in the world, with well over 90,000 engineering and business professionals from over 120+ countries. This appearance, yet a small one, was aimed at getting our name out on the international stage, and showing that the KleinBots are ever trying to support STEM and its benefits to our world. “I was offered to go to OTC with my father for the day to explore the field of Sub-sea Engineering, a field involving robotics that really intrigued me. 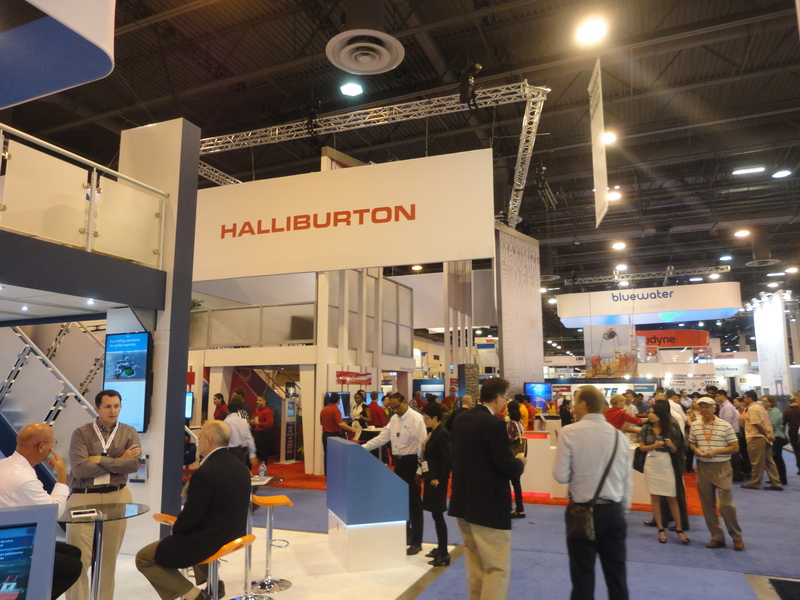 In the one day out, I really learned a lot about the new expanding field of Sub-sea engineering, including the concept’s and processes involved with oil and gas extraction, and also the terminology behind this intriguing field. 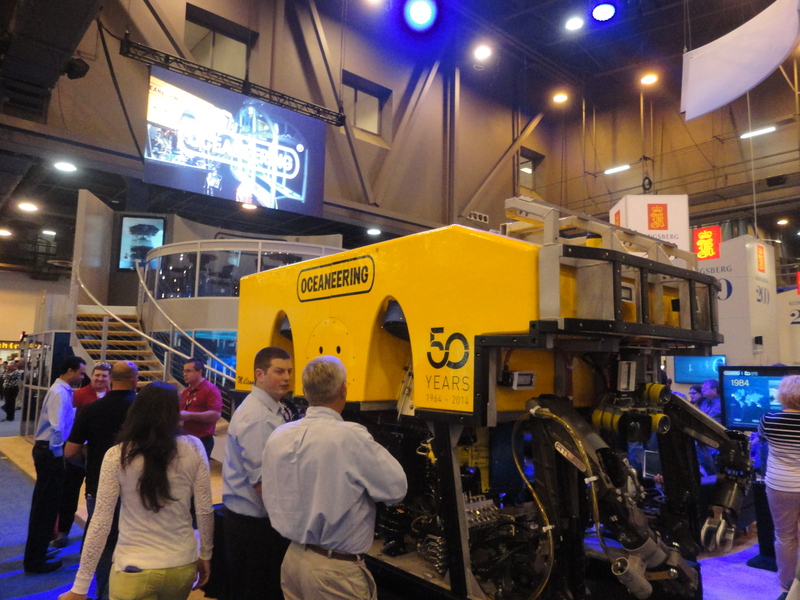 This trip really opened my eyes to the power of robotics that is propelling this great innovation of technology, and how complex the ROV’s really get. I will be back with the entire team next year to spread the word of FIRST and our great team!”– Lewis Longbottom, Head of Electrical, Team 3735, The KleinBots. As he said, “we will be back with the entire team next year”, he wasn’t joking. We are planning to have our own team pit to do demonstrations, hand out packets about FIRST Robotics and spread our name in front of some of the largest Fortune 500 companies and tens of thousands of business professionals from around the world!